We're starting to gear up for tomato season here. Some are already red, some turning. My vines are HEAVY with fruit. I keep needing to stake and tie them off. I have 7 different in the ground, 5 in pots. These are the in ground ones. On a sidenote...anyone have tips on how to tell when green zebras are ready? Re: Almost ripe! So many! Looking good. I planted late but have more coming in than we can eat. I love it! Green zebra turns yellow with green stripes when ripe. JC's Garden wrote: Looking good. I planted late but have more coming in than we can eat. I love it! I planted some late (not these) too. They're not close to ready yet. I am completely inept when it comes to starting seeds and so the ones I started (very late, I probably shouldn't even have done it) I just put in pots a couple weeks ago. I still have some that I will put in the ground. 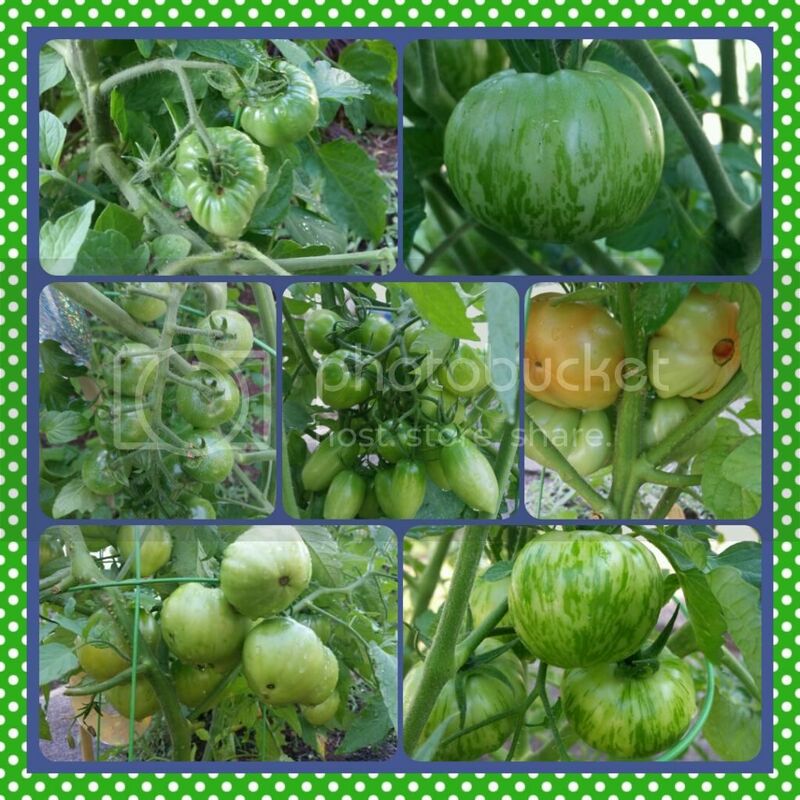 This happened last year too and I still got tomatoes off these plants that I put in late. Though it might not have been this late! Lindsaylew82 wrote: Green zebra turns yellow with green stripes when ripe. Okay thanks! I got the stripes but not the yellow!